We’re one of the UK’s leading fleet management companies, which means we’re ideally placed to provide a wide range of makes and models, including the Alfa Romeo range. If you’re interested in an Alfa or if you want to discuss another marque, simply request a quote or give us a call on the below number. Alfa Romeo is one of Europe’s most historic brands. Founded in Italy back in 1910, it’s now owned by Fiat-Chrysler Automobiles and is widely associated with sporty vehicles and a longstanding background in motor racing. Smart, sleek Italian design is at the heart of the Alfa Romeo range, which offers a number of different options from sporty supermini up. The supermini in question is the MiTo – the stylish three-door that’s built to rival the MINI and the Audi A1. It comes with various trim levels, the most plush (and sportiest) of which is the Veloce. Next in line is the Giulietta, a five-door small family car that offers an interesting alternative to more mainstream family hatchbacks and which tops the charts in terms of Alfa sales. The Giulietta has a plethora of different engines to suit most tastes and handles nicely. Plus, there’s enough room in the boot for either a pushchair or a set of golf clubs, depending on your plans for the weekend. During the week, the Technica trim could prove ideal for high-mileage business users. 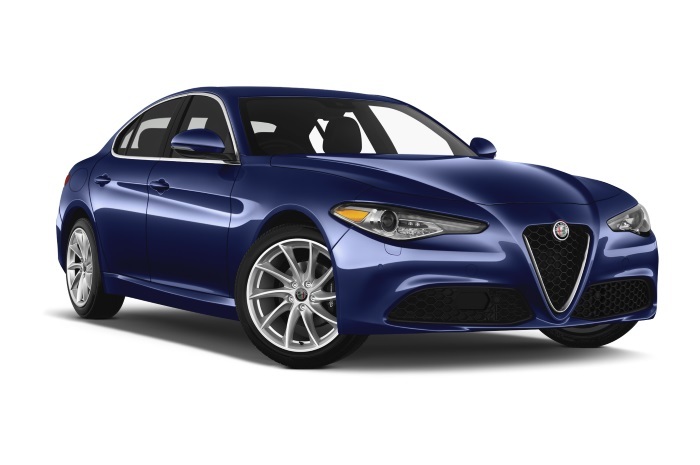 The Giulia is an executive saloon that’s a high quality and cost-effective member of the group of cars that contain options like the BMW 3 Series and the Audi A4. It comes with rear-wheel drive, a smooth ride and plenty of style and substance. Last but not least, comes the ultra-sporty Alfa Romeo 4C, which is a small, lightweight two-seater that’s built around performance, looks the part and reflects the manufacturer’s long history of sporting models. We’d be happy to tell you more about the Alfa Romeo range and the leasing products that are available. Our knowledgeable team is here to support you – and we have dedicated account managers to guide you through the options, help you once you’ve made your choice and be there throughout the term of your lease. Take a look at our latest lease deals to see what’s on offer and how we could meet your requirements. For more about leasing an Alfa Romeo or another vehicle manufacturer, or to find out about contract hire in general, call us on 0345 266 5602.